As Conference Chair and on behalf of the Conference Series organization, it is my great pleasure to invite professors, scientists, academic and industrial researchers, students and business people to the “3rd International Conference and Expo on Graphene, Advanced 2D Materials & Semiconductors” from March 28 to 29, 2019 in Orlando, Florida, USA. In its first two years, this conference has proven to be a very popular occasion for key members of the graphene, 2D materials and semiconductor materials communities to meet and discuss recent breakthrough developments and business opportunities. Speakers have come from world-leading institutions such as NASA, Argonne National Laboratory, The Ohio State University and Rutgers and from all over the world. The rapid pace of change in 2D materials makes this an exciting field of study as we continue to improve our understanding of the mechanisms of how the materials work at the same time as we find new and potentially lucrative applications for them. It is at conferences such as this that we have a unique opportunity to meet and inspire each other and to learn how to continue moving forward effectively. Orlando, a city in central Florida, is best known as the home of more than a dozen theme parks including Walt Disney World and Universal Orlando, providing ample options for delegates to enjoy before or after the conference. We’re looking forward to a great meeting where we will be sharing the latest developments in graphene, advanced 2D materials and semiconductors and I strongly encourage you to attend and be part of what will be a wonderful and valuable experience. This International summit gathers professionals from all over the world, invariable of age to discuss the current-state-of-art in this blooming field of graphene, advanced 2D materials, and semiconductors. A knowledge gathering initiative which provides diversified topics of discussion and insights in unraveling the wonders in the interdisciplinary arena of Materials Science and Nanotechnology. The 3rd International Conference and Expo on Graphene, Advanced 2D Materials & Semiconductors holds a theme of "A New Way to Atomic Assembly" which also paves way for young researchers in acquiring knowledge and information by meeting the experts. ConferenceSeries.com organizing 2D Materials Conferences in 2019 in USA. We organize Semiconductors Meetings in the fields related to it. Related Conferences: 22nd International Conference on Graphene, Carbon Nanotubes and Nanostructures, September 17-18, 2018 Berlin, Germany, 3rd International Conference on Applied Crystallography, November 07-08, 2018 Atlanta, Georgia, USA, 15th International Conference and Exhibition on Materials Science and Engineering, November 07-08, 2018 Atlanta, Georgia, USA, The 8th edition of the largest European Event in Graphene and 2D Materials, June 26-29 Dresden, Germany, Graphene Week 2018, September 10-14, 2018 San Sebastian, Spain: American Chemical Society-Nanotechnology Safety Resources, Materials Research Society of Singapore. Large molecular building blocks for hybrid materials, such as large inorganic clusters, may be of the nanometre length scale. The term hybrid material is more often used if the inorganic units are formed in situ by molecular precursors, for example applying sol–gel reactions. The biggest distinction between a Nano composite and a hybrid is that a hybrid material possesses a property that does not exist in either of the parent components. Graphene and single-walled carbon nanotubes are carbon materials that exhibit excellent electrical conductivities and large specific surface areas. An effective, economic way of using carbon fiber is to combine it with a resin and another material, either a fiber or a metal, to produce a hybrid structure. Related Conferences: 22nd International Conference on Graphene, Carbon Nanotubes and Nanostructures, September 17-18, 2018 Berlin, Germany, 3rd International Conference on Applied Crystallography, November 07-08, 2018 Atlanta, Georgia, USA, 15th International Conference and Exhibition on Materials Science and Engineering, November 07-08, 2018 Atlanta, Georgia, USA, The 8th edition of the largest European Event in Graphene and 2D Materials, June 26-29 Dresden, Germany, Graphene Week 2018, September 10-14, 2018 San Sebastian, Spain: International Union Of Crystallography , International Material Research Society. Carbon is an extraordinary element because of its ability to covalently bond with different orbital hybridizations. This leads to a rich variety of molecular structures that constitute the field of organic chemistry. For millennia, there were only two known substances of pure carbon atoms: graphite and diamond. The discovery of nanometre dimensional C60, and related fullerene-structures (C70, C84), spawned the field of Nano carbon research. The next major advance in carbon research was the discovery of carbon nanotubes (CNTs).The traditional electrochemical applications for carbon in solid electrode structures for the chlor-alkali industry as well in aluminium refining are giving way to more diverse applications requiring high-surface-area carbon i.e., capacitor, fuel cells, metal/air batteries and high-energy lithium batteries. In these of these applications carbon has the desirable combination of acceptable electrical conductivity, chemical/electrochemical compatibility to the surrounding environment, and availability in the appropriate structure for fabrication into electrodes. In addition, the low cost of carbon relative to other electronic conductors is an important advantage for its widespread use in electrodes, particularly in electrochemical systems that must compete with existing technologies. Diamond electrodes are particularly attractive for electrochemistry Because of its extraordinary chemical stability; diamond is a perspective electrode material to be used in electrochemistry and electrochemical engineering. Related Conferences: 22nd International Conference on Graphene, Carbon Nanotubes and Nanostructures, September 17-18, 2018 Berlin, Germany, 3rd International Conference on Applied Crystallography, November 07-08, 2018 Atlanta, Georgia, USA, 15th International Conference and Exhibition on Materials Science and Engineering, November 07-08, 2018 Atlanta, Georgia, USA, The 8th edition of the largest European Event in Graphene and 2D Materials, June 26-29 Dresden, Germany, Graphene Week 2018, September 10-14, 2018 San Sebastian, Spain: American Association for advancement of science, ASME Nanotechnology Institute . 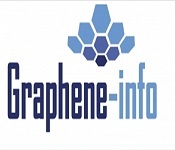 Graphene 2018 conference provides a premier technical forum for reporting and learning about the latest research and development along with discussing new applications and technologies. It allows delegates to have issues addressed on Graphene by recognized global experts who are up to date with the latest developments in the field of Graphene and Semiconductors and provide information on new techniques and technologies. Meet Your Objective Business sector with people from and around the globe concentrated on the finding of Graphene, Advanced 2D Materials, and Semiconductor Conduct shows, disperse data, meet with current technologies, make a sprinkle with another product offering, and get name acknowledgment at this occasion. Widely acclaimed speakers, the latest methods, strategies, and the most up to date overhauls in Graphene and Semiconductor are signs of this meeting.